As an ACA NSW member, you are a valued part of a supportive network of peers. ACA NSW is your voice at the decision-making table. Join now! Wage rates (pay summaries) for 2018/19 are available for members only. Australian Childcare Alliance (ACA) NSW is the peak body for privately owned early childhood education and care services in NSW. We provide advocacy, policy and regulatory support and advice; member services; and professional development for our members across the state. 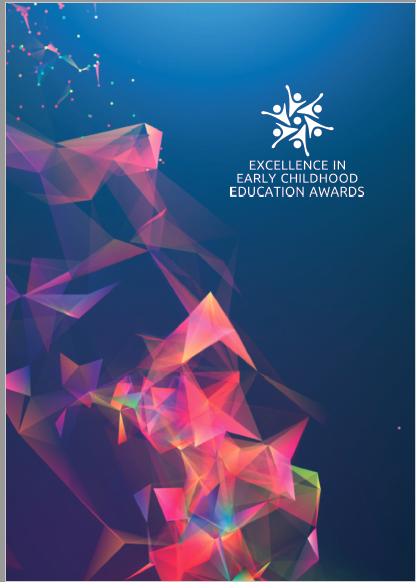 It is with great excitement that the Australian Childcare Alliance (ACA) NSW will host the Excellence in Early Childhood Education Awards 2019! Rewarding Excellence in Early Childhood Education. Awards Celebration will be on the evening of Saturday, 26 October 2018 at Sydney's Shangri-La Hotel, The Rocks. Welcome to the 2019 Excellence in Early Childhood Education Awards. This program shines a light on best practice and will raise the profile of the sector. Dedicated professionals continue to improve their skills and qualifications and do a fantastic job for young children – this is your chance for your service and staff to be recognised and celebrated. The program is already the highlight of the early childhood education’s calendar, promoting excellence of large, small, regional, metropolitan, private and community services, as well as individuals and teams. It identifies activities and the talents who contribute in making early childhood education of benefit for future generations. There are many ways to nominate. It could be that you present your annual children’s educational program in your service, or you introduce some activities around the themes in this booklet. You may wish to present a special week or a series of planned activities during the year. There are categories for every service within early childhood education and care. Services are invited to submit for one or more categories by answering the criteria questions. The winners are chosen by a panel of independent expert judges that is representative of the diversity and expertise of early childhood education. The sector’s judges will have the knowledge and experience to assess each entry according to stated objectives. The finalists will be invited to the Awards Presentation Evening that brings the sector together with services, associations, dignitaries and sponsors collectively acknowledging the commitment of services, their staff, families and communities that services young children. This is your opportunity to be involved in the largest and most celebrated event for early childhood education.